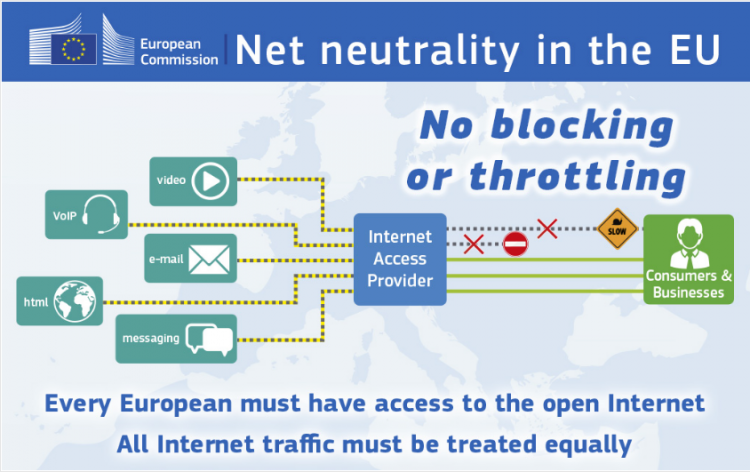 Is Net Neutrality, or at least the intent of it, being flouted via back doors in Ireland? After seeing an advert this morning, I thought I should write something about it. This morning I saw a sponsored advert on Instagram. It was from Eir Mobile and it was aimed at the now defunct iD Mobile customers, hoping to get them to migrate to Eir. In the text below the image it offered something that seemed to contravene the intent of the guidelines adopted by BEREC in August 2016 that “All Internet traffic must be treated equally”. Is Eir testing the limits of Net Neutrality? So what’s in those “Terms”? “How does the “Unlimited YouTube & social networks” work? Is this promoting specific streaming video services and social media over other companies’ offerings? This seems to be actively promoting “free” (i.e. it doesn’t impact your data allowance) access to some services, while implying that you will be charged for using alternatives (like FaceTime, Skype, Vimeo etc). Well, let’s ignore the very short term nature of this promotion and the fact that these services will doubtless eat into your data allowance after the deadline. Instead, focus on the fact that certain streaming video and social media networks are being actively promoted – to the exclusion of others. If you use YouTube, you won’t get “charged” for your data usage, but if you use Vimeo presumably you will be. If you use Snapchat or WhatsApp, you won’t eat into your data allowance, but if you use Skype or Apple FaceTime, one assumes that you will consume that allowance. This strikes me as not at all Net Neutral. Eir is a wholesale Internet carrier in Ireland. It is also a re-seller of landline services and a mobile Internet Service Provider (ISP). The EU advocates open internet rules. I suppose it needs to be stated that Eir is probably not alone in trying this. Other providers may well do the same. As consumers all we can do is educate ourselves and if we feel strongly enough then talk to Ireland’s Communication Regulator (ComReg). The world of broadband and mobile connections is always in a state of “Buyer Beware”. The competition is fierce and the offers are often good at catching attention, while being even better at capturing revenue from YOU a few months after you end up in a contract. If you are looking to switch mobile provider or are considering using mobile broadband, there is more to consider than the superficially attractive price. Consider how strong the signal might be in the areas that you most use the phone (at home, work etc). Bundles often seem extremely appealing price wise, but the best provider of one service (e.g. TV), might be the worst provider for something else (like phone coverage or broadband). If you want some impartial advice, call James at DeGeekIT on 0863804373!